As a Catholic, I'm often baffled by other Christians who base their faith purely off personal interpretation of the Bible as the be-all-end-all proof for everything under the sun (which is what I mean by Sola Scriptura). I understand the need to figure out what's going on in the bible and the need to live your life according to wisdom of the prophets and saints and especially heed the words of Jesus. But where did the idea come from that everyone can interpret the bible for themselves? Is this just a common Catholic prejudice or a misunderstanding? The origin of 'sola scriptura' as a formal term comes from the Reformation, and has only an a posteriori justification in the scriptural text. Luther presented it as an argument when the Roman Church at the time used its position as Magestierium to justify commanding things which at least ostensibly were against the words of scripture and quite frankly, against moral sensibility of the time. In Luther's time it simply meant that a believer did not need the Church's approval to read the scripture, that a properly trained believer needed only the scripture to understand the faith. This did not at the time presume that any person anywhere could just pick up a bible and instantly understand the faith and be a Christian. Traditionally, the Church was considered 'the Pillar and Ground of Truth', but also, 'All Scripture is God Breathed and is useful for teaching, rebuking, correcting...' and you also had 'what we have handed down to you in word and epistle.' (kergyma) Therefore, there were always multiple sources. Sola Scriptura emerges as an attempt to reposition the authority of scripture in an era in which Church had become really the only authority, at least in Luther's view. As I understand it, the term Sola Scriptura isn't about personal interpretation so much as it refers to a closed canon, the notion that the Bible is complete and contain all necessary knowledge for salvation, and that no other words from any other source can legitimately be added to it and hold canonical status alongside the Bible. Nowhere in any actual revelation or the writings of any prophet or Apostle does it say anything even resembling "Thus saith the Lord, my words are at an end." The concept emerged during the Reformation as a counter to Catholic traditional teachings that were not found in the Bible and, in the Reformers' view at least, directly contradicted teachings that were found in the Bible. It's a useful rhetorical device, but it is not itself a scriptural doctrine. In fact, when you look at the history presented in the Bible itself, the concept of a closed canon is always associated with apostate groups. The Samaritans and the Saducees both held positions that diminished or invalidated (to different degrees) the prophets after Moses. Likewise, the Jews in the New Testament time refused to accept the new writings of Jesus's Apostles, and created the Masoretic Text (the basis for the modern Old Testament canon) as a closed work, stating that this was "The Scriptures" and nothing else could hold that status. Sound familiar? Your question is very valid, and I sincerely wish more of my "fellow Protestants" understood what I am about to explain. The point of the Reformation was not to drive each individual Christian to interpret the Bible for themselves! It is abundantly clear from Luther's writings that this was not his goal, but for some strange reason, this has become a defining characteristic in Protestantism. It is wrong, it is a tragedy, and it needs to be fixed. Luther had a problem with the Catholic church making things up that were clearly contrary to the teachings of Scripture. His response was "Sola Scriptura!!" He just meant that the Church needed to go back to Scripture and stop teaching lies. The Church did not respond favorably, and so they "parted ways." Luther did not have a problem with having a Church, or with spiritual authority, spiritual disciplines, learning from others, and so on. Not everything about the Catholic Church was evil! Is this just a common Catholic prejudice or a misunderstanding? Perhaps. My understanding is that Sola Scriptura requires only that for you to accept an interpretation - whether your own or someone else's - you must be able to connect it back to the scriptures. A law, tradition, or belief that cannot be found in or understandably derived from scripture therefore has no standing as Christian. I do not view Sola Scriptura as just personal interpretation. I believe there are a lot of people smarter than me that can teach me a lot about the Bible's teachings. Again, this wisdom may not necessarily come from your own interpretation, but can come through the teachings of others based on scripture. The idea of Sola Scriptura is that we base our beliefs off of scripture alone. I wouldn't say it's talking about how we interpret the Bible versus where we get our understanding about God from. I don't think it is saying it is bad to be taught the correct interpretation by those who have spent their time studying the scriptures. But at the same time, I think it mainly protects the believer from those who would try to add to scripture, or change it, or use it to manipulate. It protects in that way, because I can always pick up the Bible myself and see what it says for myself. I always ask my Pastor for help interpreting the scripture, but I can also read it and make sure what he is saying is true, so I am not led astray. And further more, I can be sure that he isn't adding his own doctrines and beliefs into the mix, because people do add their own beliefs. In summary: "All Scripture is given by inspiration of God"... we can't say that about individual men's interpretation. Our best bet is to have people skilled in doctrine to teach, AND have each individual study as well to make sure what they say, lines up with Scripture alone. You pose and interesting question, "Where did the idea come from that everyone can interpret the bible for themselves?" An equally valid question is, "Where did the idea come from that any believer cannot interpret the Bible for himself? Every believer has the Spirit of God dwelling within him (1 Corinthians 6:19), so why would that believer have to be dependent on others, specifically a certain group of individuals, to understand the Scriptures? The real question then is in determining where the burden of proof lies. Does it lie with those who claim only a select group of believers have the authority to interpret Scripture, or does it lie with those who claim any believer, within whom dwells the Spirit of God, can read and interpret Scripture. Most of the New Testament epistles are addressed not to clergy, but to all believers. The Gospels seem to be written for the benefit of both believers and unbelievers. From the earliest times of Christianity, the gospels and epistles were copied and passed on to be made available to a large audience. Therefore, we conclude that the Bible was intended to be read or heard by all people and not just a select group. Therefore, it would seem counter-intuitive to assume that all people were given the Word of God to read but then prevented from interpreting it. The New Testament also teaches that God has made all believers priests, and that there is no mediator between God and men except for Jesus Christ. So, if there is no mediator between God and men anymore, then there would be no need for an interpreter between God and men either. Also, there is no place in Scripture (at least of which I am aware) that specifically restricts the interpretation of Scripture to a select group. If it were really the intent of God to restrict the interpretation of Scripture to a select group of people, then He would certainly have made that blatantly obvious in the Scriptures themselves. Yet, since there is no such teaching in Scripture, the source for that teaching must be extra-Biblical itself. Assuming that God did, in fact, restrict interpretation of Scripture to a select few, then it seems the purpose for this would be to make sure error and heresy never crept in to the church. The result would be that throughout church history, God would always work through the select group of people to maintain sound doctrine. However, when we look at the Catholic church, which holds to this doctrine, we do not find a consistent teaching throughout history. Many doctrines have changed, including the celibacy of the priesthood, indulgences, the language of mass, eating meat on Fridays, etc. So, if the teachings have changed over time, then it would seem that the leaders wrongly interpreted Scripture at various times through history, unless we hold to the idea that truth can change. Therefore, the basis of limited authority for interpretation is undermined by the variance in teachings by the select group over the 2000 years of church history. So, 1) since the Bible is given to all people to read and hear, 2) the New Testament teaches the priesthood of all believers, 3) there is no specific teaching in Scripture that would restrict interpretation to a select group of people, and 4) history has shown that the teaching of the select group has been inconsistent and contradictory, the conclusion seems reasonable that all believers have the authority with the indwelling Holy Spirit as a guide to read and interpret Scriptures apart from any mediator or interpreter. Therefore the Bible is not used as the sole source of knowledge but rather as the rule by which other sources (including common sense and Church tradition) are judged. So if someone in your church (or here) says, "God says X" (e.g. we don't have to pax taxes) you can check what the Bible says (in this example, Romans 13:6-7). Although sola-scriptura principle sets up the boundaries as to which books should be considered as Scriptures and which books should not, the essence of this principle is not about books, but rather about the ideas that those books contain and whether or not the knowledge of and believing in those ideas is sufficient for humans to have eternal life, which is to be saved (sola-scriptura principle MUST NOT be taken in its literal sense, but rather should always be considered in its original intrinsic sense). Therefore, if any new idea "pops up" that is contradictory to the original ideas described and presented by the apostles in their books, then the sola-scriptura principle exempts people from following that new idea. I think the doctrine you're looking for is "Priesthood of all believers". It is derived from Martin Luther's understanding of 1 Peter 2:9. But you are a chosen race, a royal priesthood, a holy nation, God's own people, in order that you may proclaim the mighty acts of him who called you out of darkness into his marvelous light. Luther, and most Protestants following him, have understood this to mean that all Christians are capable of interpreting the Scriptures without a priest as an intermediary. I'm not really sure that's what Christians do. I'm a non-denominational Christian myself, and while I do believe in a direct and personal relationship with God, I do not believe I should use my own personal interpretation of the Bible as my sole source of foundational information upon which to base my faith. I am a strong believer in listening to your pastor (or priest, in the case of Catholicism), as it is important to get a solid, educated viewpoint on the meaning and doctrinal nuances of the Bible. I also believe it is critically important for a true bible-believing faithful Christian to understand where the translation of the bible they study came from...the original language roots, and the original contextual meanings of critical words, the cultural context within which the bible was written, etc. A full and proper understanding of the scripture cannot be had in isolation, one needs the input of others, of those who are educated in theology and doctrine, as well as a fundamental understanding of where the bible comes from. As a bible-believing Christian, I do not base my faith purely off of my own personal interpretation of the Bible...I base if off of a well-informed interpretation of the bible that is a combination of my own understanding, the educated understanding of my pastor, and many ongoing years of research in the source of my English translation of the bible. Not the answer you're looking for? 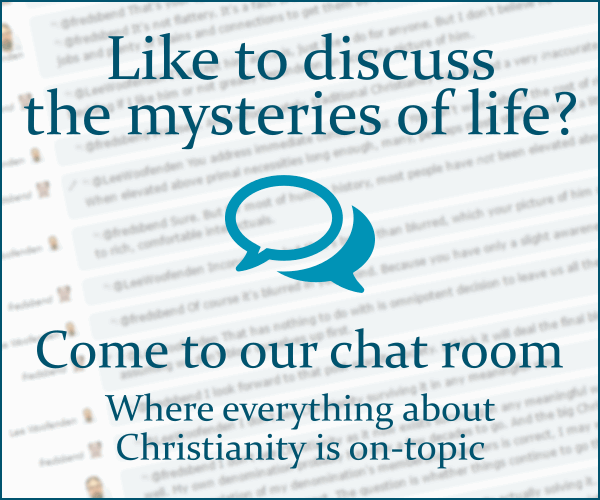 Browse other questions tagged sola-scriptura protestantism or ask your own question. Does the Bible give any reason as to why its content is sometimes difficult to interpret? Modern revelation. Is there Biblical evidence against it? What were people supposed to do with an incomplete or nonexistent Bible?